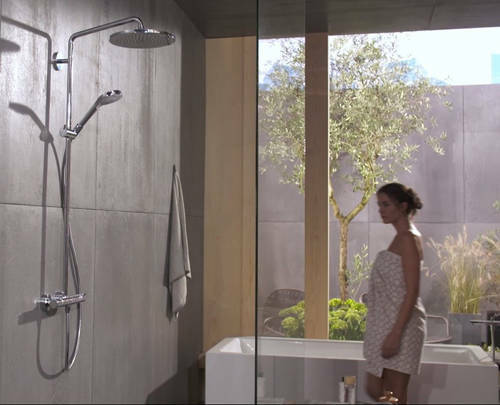 Hansgrohe > Croma Select S 280 Showerpipe Pack With (Chrome). 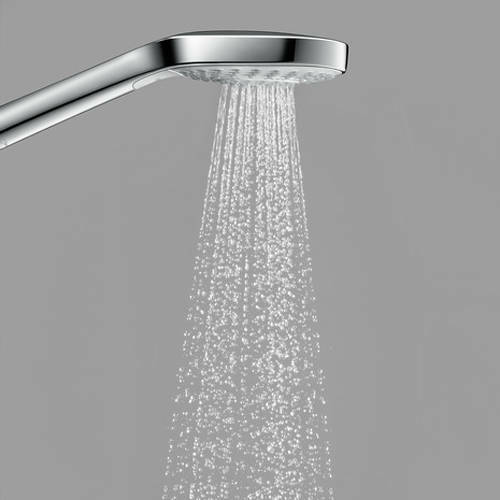 Hansgrohe Croma Select S 280 1 jet Showerpipe shower pack in chrome. With thermostatic valve, riser rail, head, handset and hose. 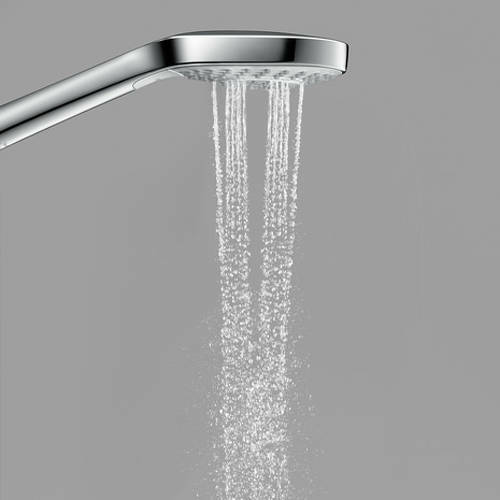 Croma Select S 110 multi hand shower included with select button to comfortably switch between spray modes. Handset with 3 spray patterns: SoftRain, IntenseRain, Massage spray (select button). 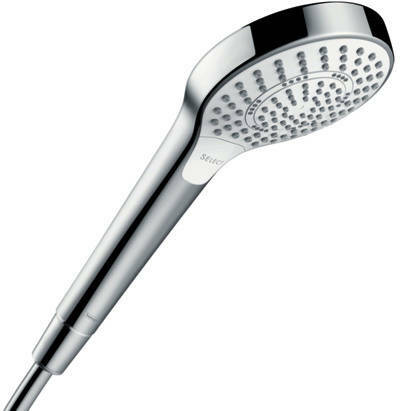 Hand shower head size: 110mm. Croma Select 280 1 Jet overhead rain shower with swivel arm (RainAir- rain jet enriched with air, 280mm). 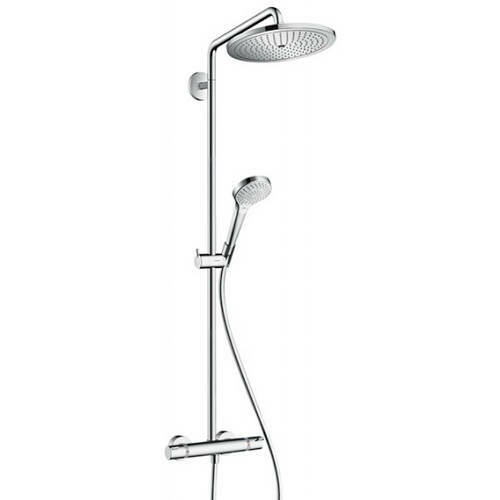 Shower arm length: 400 mm (swivel shower arm). 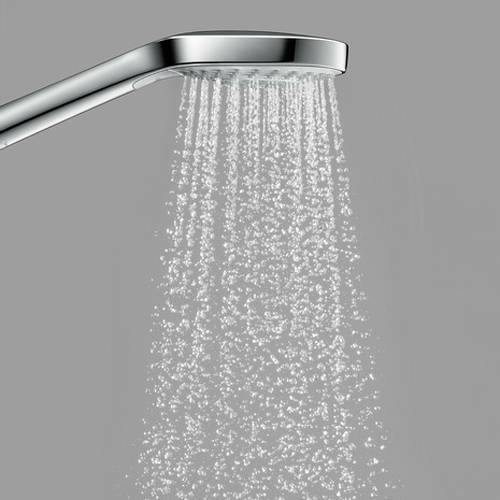 Thermostatic shower valve (Ecostat Select). Operating pressure: 1 bar to max 10 bar. Flow rate: 16 l/min at 3 bar. Outlets controlled via volume control/diverter and may not be used simultaneously.